It’s a big week for our environmental pledges with the launch of West End Buyers Club and offering DeliverBEST, alongside our existing Click & Collect services. Today, we launched West End Buyers Club with partner BIDs New West End Company, Heart of London and Baker St Quarter, as well as Shirley Rodrigues, Deputy Mayor of Environment and Energy at London’s Mayor Office and Cllr Robert Davis MBE DL, Deputy Leader and Cabinet Member for Business, Culture and Heritage at Westminster City Council. West End Buyers Club, which is sponsored by Mayor of London, provides local businesses and organisations with preferred suppliers that help to reduce freight, save money and improve London’s air quality. Local businesses and organisations can sign up to the various suppliers, picking and choosing based on their needs, at the website here by clicking on the activity icons. So far, 259 companies in the West End have signed up for waste and recycling services with First Mile and 137 are using Anglo for office supplies. Users can be confident that West End Buyers Club will offer the best suppliers to accommodate the various needs for businesses and organisations in the area. Suppliers range from redirecting personal staff deliveries and couriers to office supplies, waste and recycling. More services will be added to enhance operations, such as catering, green infrastructure, taxis and travel, cleaning, and maintenance. 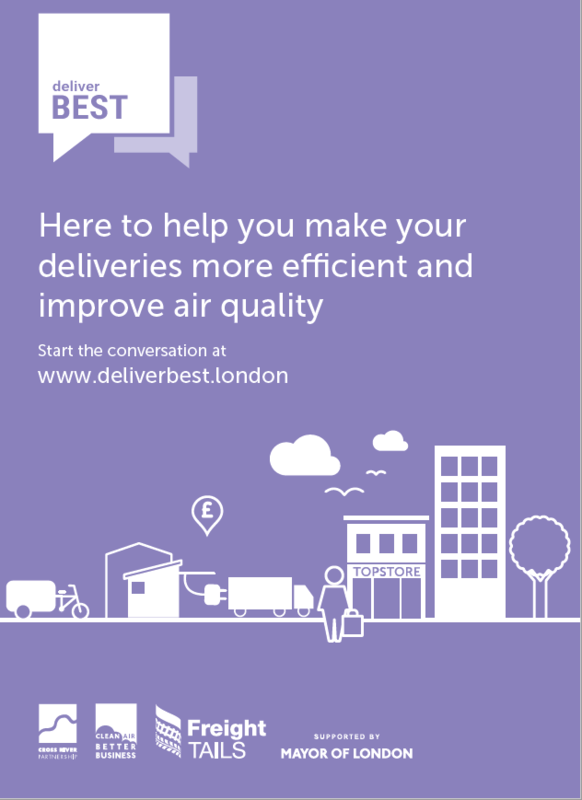 For deliveries, we are offering our local businesses and organisations DeliverBEST, a free online assessment tool that suggests supply chain changes to save costs, improve customer and employee environments, and bolster CSR outcomes, all whilst improving the health of Londoners and the environment. The tool asks fewer than 10 questions about your business and generates a report on change that can be made. Specialists can provide guidance to ensure desired changes are implemented, but there’s no obligation to act on any of the recommendations. For any information on delivery or freight reduction projects, get in touch.